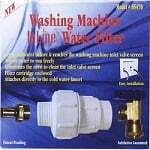 The Summit TJ122 has been discontinued and replaced by the Summit TJ131 Washer Magic Washing Machine Cleaner. This Summit Washer Magic Washing Machine Cleaner and Deodorizer is used to clean out the drum of your washing machine. It also removes odor causing residues and works to maintain the long-term performance of your washing machine. This Summit Washer Magic Cleaner is safe to use in all washing machines. It can be used every month to clean out and extend the life of your washing machine, though in areas with hard water it can be used as often as needed. This Washer Magic cleaner can also help your clothes to last longer because clean washing machines are more gentle on clothing. 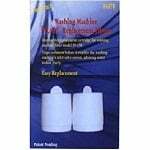 Washer Magic Cleaner can also be used to clean the rubber seal around the door and detergent drawer of your washing machine. 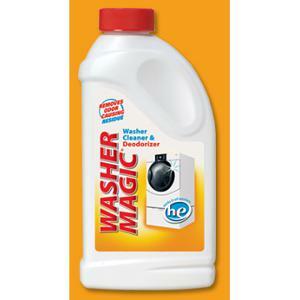 This Washer Magic Washing Machine Cleaner and Deodorizer is safe for septic tanks and contains no phosphate. This is a 24 ounce (oz) bottle. Due to shipping laws, we can only ship the Washer Magic Cleaner within the continental United States.